Two men accused of a Grizzly Trail home invasion admitted to the accusations on Thursday, accepting a plea agreement calling for six-year prison sentences. 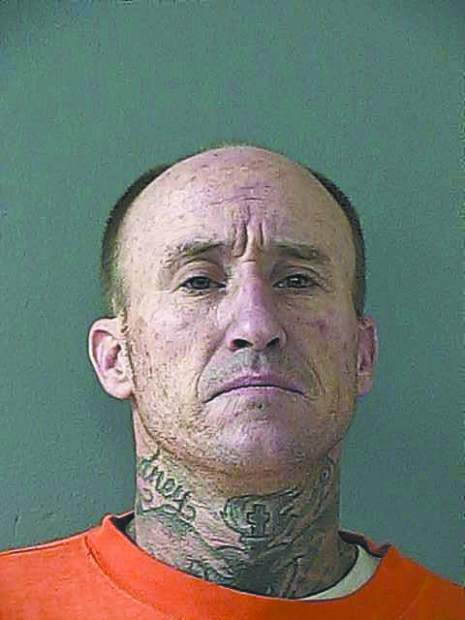 Steve Ray Rhodes, 28, and Shawn Turnage, 26, are scheduled for an Oct. 5 sentencing in Nevada County Superior Court on a charge of home invasion robbery and a special allegation of robbery in concert. Rhodes pleaded no contest to the accusations. Turnage entered a guilty plea. Deputy District Attorney Casey Ayer said the different pleas have no effect on the recommended sentences. In their pleas both men pointed to 47-year-old Michael Diaz as part of the group that on Dec. 11 broke into the Grizzly Trail home. Diaz had no plea deal offered to him. Prosecutors in court documents say he was convicted in 1989 of murder and kidnapping in Denver. He’s scheduled for a Sept. 11 preliminary hearing. Authorities accuse all three of breaking into the home, binding their victims’ hands and stealing thousands of dollars and several pounds of suspected marijuana after their vehicle ran out of gas. Officers caught the men shortly afterward.